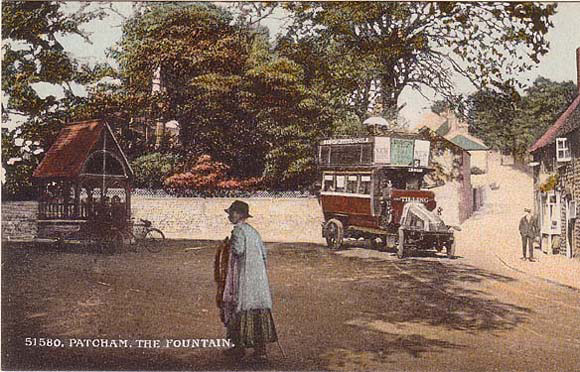 A flashback fifty years to the time of the First World War, and the Tilling’s bus waiting at Patcham Fountain for a summer trip into Brighton, makes interesting comparison with the view in the 1960s. Tilling’s later became the Brighton Hove and District Omnibus Company. My mother was born in one of the cottages on Church Hill . It was the family home.